All you need . . .. for The Paper Players! I decided to participate in this week’s Paper Players challenge, as I LOVE the subject . .. .Animals!! 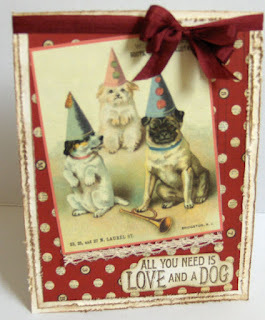 I made a vintage style card, with my favorite “doggie saying”: “all you need is love . . .and a dog”!! Along with some pretty red Bo Bunny red background paper, beautiful deep red silk ribbon from May Arts, and a vintage dog picture . . . and I love how it turned out. 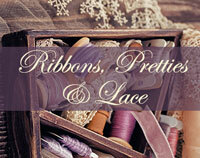 Check out all the other submissions this week at www.thepaperplayers.blogspot.com . . . so many cute cards! Such a sweet, sweet card Janice.Thanks for playing in our "Raining Cats and Dogs" challenge this week. Sometimes a sweet pet is really all we need, isn't it? Oh my gosh….I just LOVE these vintage puppies! SO SO CUTE!!! The colors are awesome and what a fun sentiment! Those Bo Bunny papers work so well with the image! Thanks for playing with my challenge this week at the Paper Players! 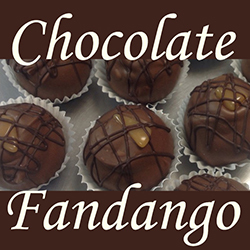 Thanks for your sweet comments Colleen and LeAnne . .. . I am soooo "into" dog (and cat) cards, etc….especially love using Graphic 45's line, but found this sweet graphic and had to use it too! It's actually off of a Cavallini calendar I got this year . . . ."double duty" for sure!! Oh, what an awesome vintage Valentine, Janice! 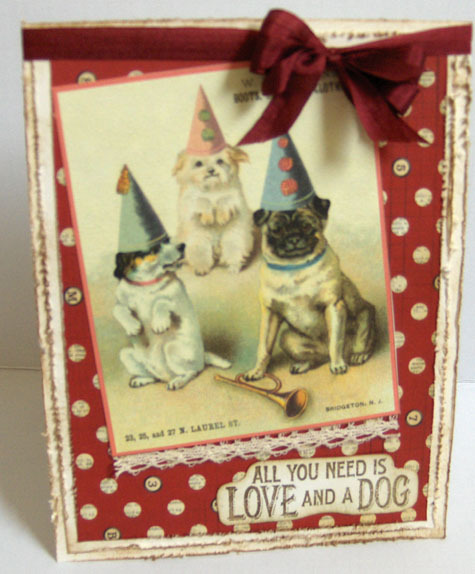 Those dog images are just wonderful, and I love the whole vintage feel of the card. Thanks so much for playing along with us this week at The Paper Players!